For the sixth year running the LFNS is pleased to announce the Easter Eggstravaganza weekend! The Easter Eggstravaganza is a themed family event taking place over the Easter Bank Holiday weekend. It is a fun, free event aimed at all levels of skaters from beginners to advanced, incorporating street-skating, freestyle and general mucking about. The event kicks off the summer season of skating, as well as encouraging new participants to try out this exciting, dynamic, and increasingly popular sport. Last yearâ€™s events were attended by over 600 people of all ages, including international visitors and we are expecting more to join in this year. Over the Easter Holiday weekend (29th – 31st March) we are planning 4 days of skating fun for all abilities and for all the family. The final schedule is still being developed, but a rough outline is now available. Check back closer to the day for more information! 7pm – The Long Good Friday Night Skate – a fast-paced skate for intermediate to advanced skaters starting 1 hour earlier than usual at 7pm, from Hyde Park Corner. Three hours of skating goodness. Free skating lessons with some of London’s top skate instructors! Mark Davies fromÂ Skateinstructor.com is an ICP, SIISA Master Skate Instructor and Skate Instructor International Examiner. 12pm – 1pm Mark is providing free forwards to backwards and backwards to forward transitions workshop. To attend this lesson you’ll need wear knee, wrist, elbow pads and a helmet. You can contact Mark and see his other lessons via his web site. Mike Van ErpÂ from LondonSkaters.com is an IISA/ICP Level 2 Certified Instructor and LondonSkaters Speed Team coach. 1pm – 2pm Mike is offering free speed skating lesson so you can finally go faster. 2pm – 3pm Mike is teaching turns and agility – again for free! You can contact Mike and see his other lessons via his web site. 12pm -2pmÂ Free freestyle slalom workshop suitable all levels whether or not you’ve been in and out of cones before. 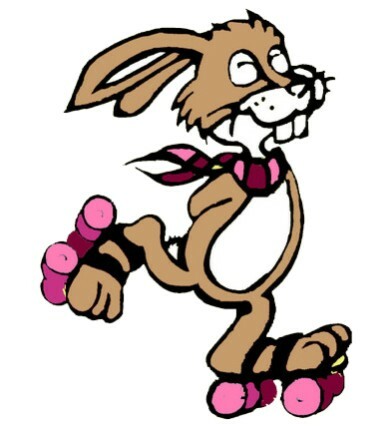 2pm – The Easter BunnyStroll, a slow-paced leisurely skate for beginner to intermediate skaters who can stop, turn and control their speed on an incline, from Serpentine Road Hyde Park. Dress your wicked Easter best and set out to impress! 4.30pm – Chocolate Egg & Spoon Races, after the BunnyStroll on Serpentine Road Hyde Park. What other competition lets you eat the equipment? This year we are also giving away vouchers for skate lessons to some lucky Egg & Spoon racers. Lee Brooks of SkatesCool.com is providing two vouchers for the fun, friendly inline skating course to teach you the basics fast. SkatesCool’s beginnerâ€™s inline skating crash course lesson gets you rolling in no time. Mark Davies from Skateinstructor.com is providing four vouchers for a one hour one to one lesson. T-shirts as prizes for the Egg and Spoon Races and Monday 1st April’s Slalom Showdown from Slick Willies. 6:30pm – Midnight Easter Bunny Party. Free entry. Dance into the wee hours of Easter Monday. The venue will offer a nice veg curry for a couple of quid a bowl if you’re looking for something to eat! 2pm – The fourth annual Easter Slalom Showdown, featuring fun level slalom and jump competitions suitable for beginners, Serpentine Road Hyde Park. Cure for the hangover that ails ya. Compete. Show your stuff. Own those chumps! This entry was posted on Monday, February 18th, 2013 at 10:15. You can follow any responses to this entry through the RSS 2.0 feed. You can skip to the end and leave a response. Pinging is currently not allowed.